In 1997, Carl Lambein and his wife Marion, made a gift of 125 acres of land located in Orchard Park to the West Seneca Rotary Foundation. The Lambein’s vision was to create a public recreational facility and golf course to serve the entire Western New York Community. This generous gift inspired the West Seneca Rotary Foundation, along with local business and government leaders, and in particular, Joseph Sgroi, to develop and to bring a Chapter of the First Tee Program to Western New York. Today, The First Tee program at Harvest Hill is well underway and an overwhelming success. An additional 140 acres of land was secured through the efforts and financial support of the Sgroi family. With the help of world renowned architect, Dr. Michael Hurdzan, the birth of Harvest Hill Golf Course was realized in July 2007. The “State of the Art” course design, along with a golf learning center and temporary club house was opened for the enjoyment for golfers of all skill levels. We have preserved our region’s natural beauty, wetlands and nature trails, and will provide year round recreational opportunities for golf, and nature and environmental studies. On October 12, 2012, Ross Cellino purchased Harvest Hill Golf Course. Mr. Cellino intends to continue operating the facility as a public daily fee course for the benefit of the residents of the nearby towns, especially for the towns of Orchard Park and West Seneca. Mr. Cellino has also made a commitment to the First Tee Foundation that they may continue to use the course and The First Tee Building for the benefit of the children free from any charges. Improvements currently under construction include a new club house, tournament pavilion, as well as a bar and restaurant. Construction is expected to be completed by Memorial Day 2013. The club house was designed by renowned local architect, Charles Gordon. Mr. Gordon’s inspiration for the design, which includes a silo and barn board for siding, was the pastoral farm like setting that currently exists at the site. There are two old barns on the course. One barn is currently being used as the pro-shop and the other is used by the First Tee Program for Storage of donated clubs and equipment. As home of The First Tee Western New York, the center includes a full schedule of innovative recreation based programs that use golf to teach life skills and develop character. The First Tee Western New York is dedicated to serving the area’s youth with excellence as we promote life-enhancing values such as integrity, judgment, perseverance, confidence and sportsmanship through the fun and challenging game of golf. Projects bearing his name can be found on 5 continents, including numerous “Top 100″ designs in both the US and Canada. He is credited with design of both the first environmental demonstration golf course in the US (Widows Walk), the first environmental education golf course (Farm Links) and was the lead designer of Erin Hills, a course that debuted at #10 in Golf Digest’s “100 Greatest Public Courses” and will host the 2017 US Open. An internationally recognized authority on golf course environmental issues, Dr. Hurdzan studied turf management at Ohio State University and earned a Masters degree in landscape architecture and a Ph.D. in environmental plant physiology at the University of Vermont. Dr. Hurdzan doesn’t just design great golf courses; he is also extremely active in serving his profession and industry. He teaches 2-day seminars for the Golf Course Superintendents Association of America, (GCSAA) on “Design, Construction and Renovation for I.P.M.” and “Golf Greens: Theory, Design, Construction and Maintenance,” in addition to “Environmental Impacts of Golf Courses” for the Harvard Graduate School of Design. He is a Golf Digest panelist for their environmental awards program, a selected delegate for the “Golf and Environment” conferences, and serves on the education review committee for GCSAA. 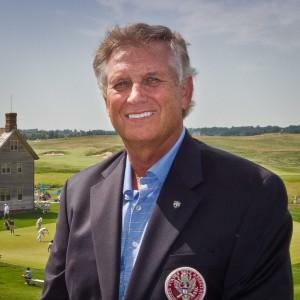 He is a past president of the American Society of Golf Course Architects, current chairman of the professional development committee, and a member of the Past President’s Council. He is contributing to the professional development program for the Golf Course Builders Association of America, and the Professional Golfer’s Association (PGA).